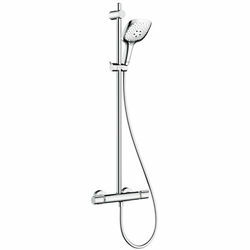 Hansgrohe > Raindance Select E 150 Semipipe Shower Pack (Chrome). 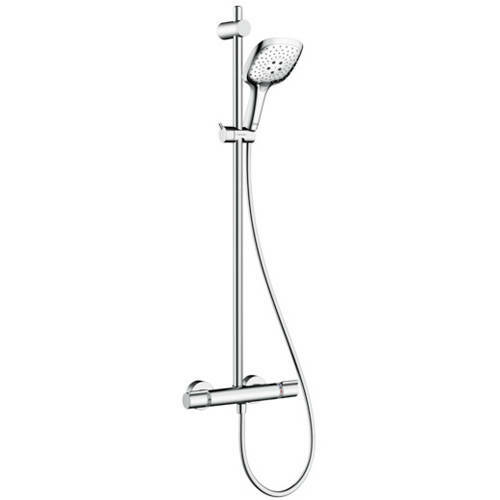 Hansgrohe Raindance Select E 150 Semipipe shower pack chrome. With thermostatic bar valve, riser rail, handset and hose. 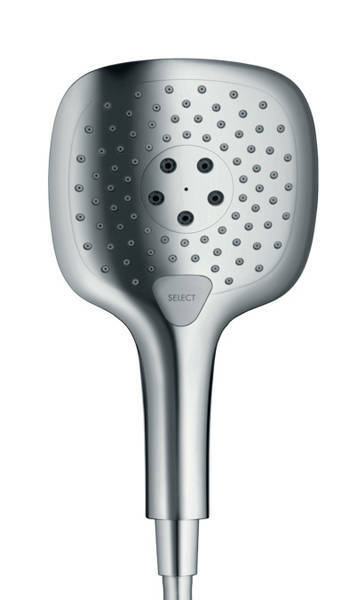 Raindance Select E 150 hand shower with select button to comfortably switch between spray modes. Handset with 3 spray patterns: RainAir (rain jet enriched with air), CaresseAir, Mix (select button). 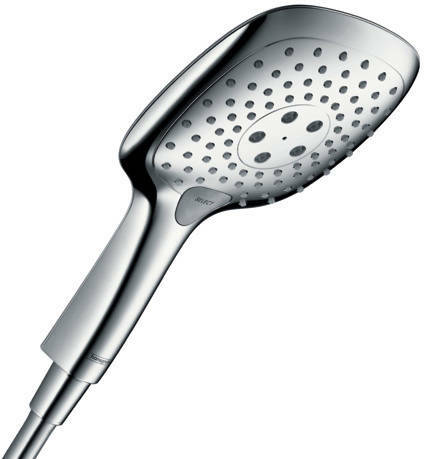 Hand shower head size: 150mm.